Applying over 35 years of experience. Located in Alexandria, Virginia, attorney Barbara J. Walker is dedicated exclusively to the practice of estate planning and probate law. The law firm helps individuals, including new parents, people approaching retirement and those with elderly parents throughout Northern Virginia. Barbara limits her practice to estate planning and administration, wills, trusts, powers of attorney and probate. With over 35 years of experience, she can handle even the most complex estate planning situations. 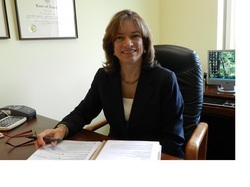 Barbara J. Walker, Attorney at Law can help you with: Estate planning Estate administration Wills Trusts Powers Of attorney Probate Estate planning can be complicated and the process can be time-consuming and stressful. Your plan may also involve sensitive family issues and complex tax issues, which an experienced lawyer can help you navigate. When you hire Barbara J. Walker as your estate planning lawyer, she will help you achieve peace of mind by knowing that your affairs are in order. Barbara creates comprehensive estate plans to ensure that your dependents and assets are protected after you pass away, with a minimum of cost and inconvenience to your heirs. For probate clients, the firm carries out your loved one's wishes by settling the estate as efficiently as possible and with a minimum of stress on the family. Contact a reliable estate planning lawyer in Alexandria. Call Barbara J. Walker, Attorney at Law at 703-836-0260 or contact us online to schedule your free initial consultation. Flat fees are charged for all estate planning documents. Hourly rates are charged for probate matters. Once a trust is established by a grantor, its operation must be overseen by a qualified administrator. This trustee manages the investment of funds and distribution of assets according to the grantor's design contained in the trust's documents. Trust administration requires careful attention to each detail of the grantor's wishes. A conscientious trustee must have comprehensive knowledge of the law and be scrupulous regarding client service. For 35 years, attorney Barbara J. Walker and her staff have provided highly ethical and reliable administration to a variety of trusts, maintaining the fiscal strength of these entities to serve beneficiaries through the intended life of the trust. They are available to provide administration services to new clients on a wide variety of trusts, including: Credit shelter trusts (CST) Incentive trusts Living trusts Generation-skipping trusts QTIP trusts Charitable remainder trusts Irrevocable life insurance trusts Meticulous administrative services Barbara J. Walker, Attorney at Law in Alexandria has extensive experience in all duties expected of a trust administrator, including: Investment of assets Management of assets Preparation of accountings Preparation of tax returns Distributions to beneficiaries Advice to trustees A trustee can be personally liable for mistakes or omissions that result in losses for the trust. Barbara J. Walker, Attorney at Law offers sound advice to trustees to ensure accurate and complete compliance with all aspects of trust administration. If you have been named a trustee, they strongly recommend that you retain professional assistance from a trustworthy source. As an established law firm with a long record of success in trust administration in Virginia, Barbara J. Walker, Attorney at Law can help. Contact a reliable source for trust administration legal services. To schedule an appointment with Barbara J. Walker, Attorney at Law, call our Alexandria, Virginia office at 703-836-0260 or contact our firm online.